If you have a comment or a common question you can use the "Comments" sections in each page or the "Q&A" page. The money has to be transferred in advance (Bank transfer, PayPal transfer, cash or other). 50% of the agreed discount with the seller of your vehicle has to be transferred in 1 working day after the sign off of the contract for sale of the vehicle between you and the seller. I give 25 Euro back to every customer when he/she takes a photo of himself with his new car and allow me to post it on my website and on facebook. If you have definetelly decided that you would like to buy a vehicle from Germany, then we first have to meet (in person, or via Video call), to talk about your choice, budget, discuss all kind of details, delivery, etc and then we can start the procedure. You have picked up a specific brand and make with the desired color, extras, interior, exterior. Shortly, you know what you are looking for. You pick up 3 advertisements from websites like mobile.de, sort down the adverts from A to Z where A is the most preferable one. Take into consideration that if the car has no valid registration plates and is sold by a private owner, then there is no chance that a test-drive is performed or the car reaches an authorized car service – TÜV, ADAC or DEKRA. If the car is sold by a dealership, then most probably they have red plates (dealers plates) and a test-drive and car check can be performed. How much does it cost to buy a vehicle/car from Germany? You pick up the vehicle from Germany by your own. We organise your trip together. I drive and deliver you the vehicle in front of your home door. A car transporter delivers you the vehicle in front of your front door. 1. How does the payment for the vehicle is done? – The buyer pays to the seller via bank transfer. 2. May I transfer only 10% or 20% of the amount my car costs and to pay the additional amount of money at place when I arrive in Germany to pick up my car? – Yes, you can. Usually the prepayment is between 10-20% of the total amount. Therefore, you have to carry with you the rest 80-90% of the money. Bear in mind that if you take a plane a fly to Germany you are not allowed to carry over 10 000 Euro with you. 3. Is the mileage shown on the dashboard of the car real in the advertisements from Germany? – Yes, they are. In Germany it is forbidden by law to turn back the mileage of a car and everybody who tries to do that can be sued in a court. Additionally, if you are looking for a car with a full service history which can be proved and there are also the technical checks from previous years where the mileage gets recorded, then you certainly will buy a car with a real mileage. 4. How much does the transport of the car from Germany cost? – It depends on the weight and sizes of the car and on the distance. Prices are given upon request and when all details are well known. 5. Will I get a discount if I order more then 1 car from you? – Actually not. For me the time and efforts spend for 1 car are the same for the second. It means that I have no economy of scale by getting more and more orders. In the services sector is like this. 6. How can I be sure that the money I transfer to the german seller will reach a real company or person, the real seller and I want be deceived? – There are specific methods to check the authenticity of the car and of the seller. It is my responsibility to ensure a smooth process and to guarantee you a “no fail” deal. 7. Are you able to do a full car check (used car check) on the full teritorry of Germany? – Yes, I cover the full territory of Germany. You only have to choose the car you want. 8. How much time will the delivery of the car to my front door take? – The delivery usually takes up to 3 calendar weeks. 9. How much time will the whole process of buying a vehicle take? – Every single order is individual and specific by itself. 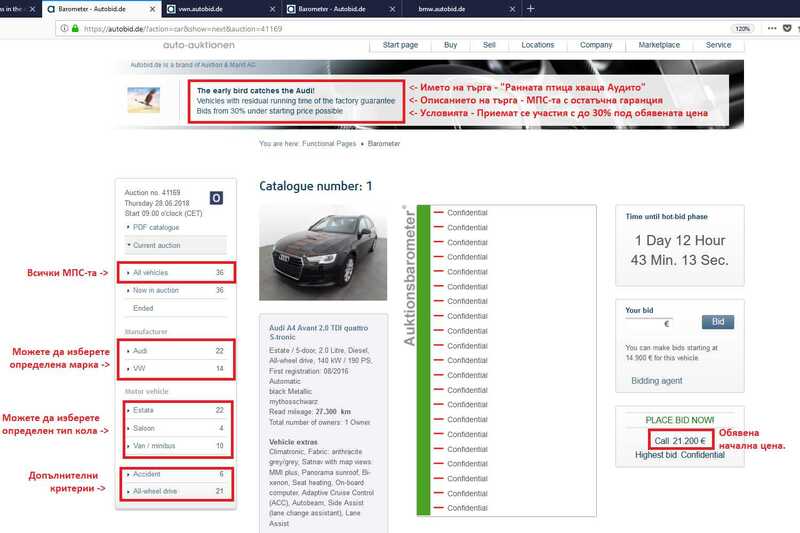 It depends on supply with this used car, on the communication with the seller and his/her collaboration in order to make the process smooth, on the technical car check and the technical condition of the car. You’d better count with at least 1 month. For a very very seldom brand and make, I have had deals taking longer then 2-3 months because of the scarcity on the market and the high demand. 10. Which option to pick up – car transport, personal delivery or a delivery by you driving my car? а) The type of the vehicle – passanger car, bus, mini van, truck, with trailer or without new or old one. б) The place of pick up – Is it hard to access? It is close to an airport? How lond is the distance to be traveled. в) The time available – The personal delivery is much faster then the car transport by car carriage. The price of the personal delivery depends on the distance, the location of the vehicle, the price and the type of the fuel, the toll and road taxes. г) If I or a colleague of mine delivers you the vehicle, then you have to cover all costs related to the delivery (air plane tickets, other bus or train tickets, transit plates, food, drinks, accomodations, fuel cost and road taxes) + daily remuneration according to the price list. Make your own calculation if this option fully satisfies you. 11. If I as a customer quit from buying a car from Germany at a certain point of time, will you return the 150 Euro paid in advance? – If we have gone through more then 3 advertisements, have discussed them and you just quit with no reason, then the prepaid comission could not be transferred back. Please take into consideration that our time and efforts also cost money. If you quit before we have even started the process, then of course you will get your commission back. 12. In case I change my mind and choose another brand and type of a vehicle, will I have to pay your initial commission again? . – Yes, the commission has to be paid again. The brand, the make and the period of make and the budget have to be preliminary set up and fixed. If we start for example with Audi A6 but you change your mind and pick up VW Passat for example then this is an entire new order. Second case: You have first chosen VW Golf IV, I have covered for you couple of advertisements, we have discussed the and you suddenly back up and decide that you will wait to save some more money to buy Golf V, then a second prepaid commission is to be paid. The same example is valid for all kinds of different brands and models from different manufacturing series with changed initial budget. 13. What does “VB” in the german advertisements mean? – “VB” means “Verhandlungsbasis”. The translation is “price is under negotiation”. 14. What does “MwSt ausweisbar” in the german advertisements mean? – “MwSt ausweisbar” means that the Value Added Tax is documentary traceable/proven and you have the option either to buy without VAT (netto Export) if you have a company VAT-registered in your own country or you have to buy with VAT (Brutto Price) if you are a private person or a non VAT-registered company. 15. How much time does the delivery of the vehicle take if you drive it for me to my front door? а) In general passenger cars follow the restrictions on the roads for passenger cars, pay vignettes and toll taxes for passenger cars and cross borders at a different border section and wait less time then trucks and buses. In general a delivery from Western Europe to Eastern Europe takes 3 full days. The first day of travel, the flight by plane counts as well in those 3 days. The beginning of every working day is counted as a full working day because there is no 8 hours working day and the full workload depends on the driver’s decision and physical ability. б) The heavy load vehicles from categories N1, N2, N3 watch out for the speed limits for their specific category, driving time (tachograph) if they exceed 3.5 Tonnes (N2, N3), pay road taxes and/or vignettes for their own category and cross borders as heavy weight, therefore there is more waiting time. There are a lot of unpredictable factors which can cause delays in the schedule. The auctions are open only for registered german car dealers and not for private persons. Physicall persons or companies outside Germany can only watch the advertisements, but cannot bid. Though my personal contacts with german car dealers, I can offer to all of my customers direct access to the german auctions. What you need to do is to pick up a car and send me the link. Not each car is worth it. Everybody should calculate and make a decision. . There is no searching option by criteria. You have to search one by one. It is possible that the brand and model which you are looking for are not available at the time on the current auctions. You will have to wait a bit. If the car is exotic, the chance to show off on an auction is really small. We discuss the car and if the price-product relation is OK, you transfer 10% to the German partner in advance. If our bid is the highest bid, the German partner buys the car and invoices it to you. Of course the auctions have to make some money as well. The purchase of a car via an auctions is followed by additional costs. For each car the auction takes 3.5105% commission or minimum 285.60 Euro of the purchasing price. This means that for all cars with purchase price up to 8135.60 Euro, the commission of the auction is 285.60 Euro. After that it is 3.5105% of the purchasing price. The German partner who plays at the auction takes 357 Euro (brutto) and 3% of the purchasing price. My commission on the deal is 150Euro + 3% of the purchasing price. The car has to be paid immediately by my german partner after the bidding is over. Because of this reason, the buyer of the car (you) has to pay a deposit of 10% in advance. This 10% will be deducted afterwords from the final car price. The gratis period of the car staying at the auction premises is 10 days. Afterthat each day is taxed with 7.15 Euro. I can organise a transportation for you to a lot of places in Europe. Do not hesitate to ask me about timings and prices. Technical inspection – engine, brakes, electronics, tires, etc. I can offer you technical and visual car check in whole Germany and in 90% of the teritorry and cities in Germany, not limited to: Munich, Augsburg, Ulm, Nuremberg,Wuerzburg, Stuttgart, Mannheim, Mainz, Frankfurt, Cologne, Dortmund, Duesseldorf, Essen, Muenster, Bielefeld, Osnabrueck, Hanover, Bremen, Hamburg, Berlin, Leipzig, Dresden, and all other cities in those areas. Prices are upon request and start at 120 Euro pro car. Technical check for motorcycles, buses (N1), MiniVans, SUVs and others is also done. Please send a request for a price check and put the link to the advertisement. Уведомете ме за последващи коментари и отговори. Можете и просто да се запишете за известия, без да оставяте коментар. Notify me of followup comments via e-mail. You can also subscribe without commenting.